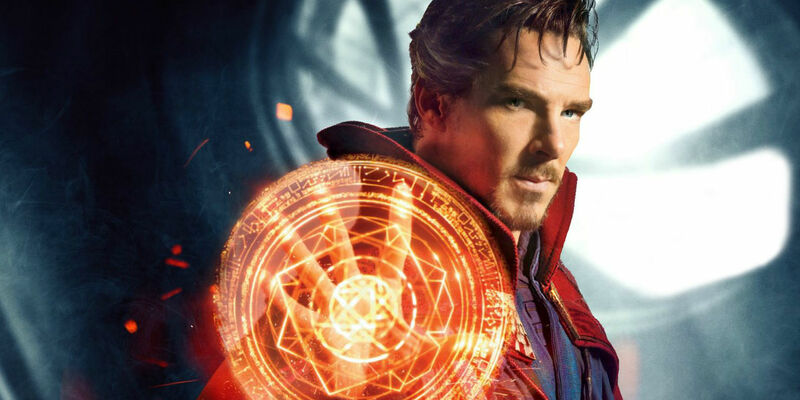 Sherlock Holmes might seen like a magician when he plucks deductions out of the air, but Benedict Cumberbatch’s latest character actually is a master of the mystic arts. In Doctor Strange, Cumberbatch – like Martin Freeman before him – joins the all-compassing Marvel Cinematic Universe as new hero Doctor Stephen Strange. The movie has been hotly anticipated by Marvel and Sherlock fans alike. So did it live up to the expectation? Anyone who knows how reliable Marvel’s output has become will know that the answer is a resounding yes. The first thing that has to be mentioned when talking about Doctor Strange is its astonishing visual pallet. By dealing with heroes and villains who can manipulate reality around them, Doctor Strange offers up some mind-bending action sequences of the kind seen in The Matrix or Inception. Director Scott Derrickson and cinematographer Ben Davis have to be commended for making this the most interesting-looking Marvel movie we’ve ever had. The cast is also terrific. It’s not just Cumberbatch to keep your eye on, as the likes of Chiwetel Ejiofor, Rachel McAdams, Tilda Swinton and Mads Mikkelsen ably support him. Sherlock Holmes fans, for one, will enjoy seeing McAdams (formerly Irene Adler in the Sherlock Holmes movies) romancing a different Sherlock and Mikkelsen (brother of Lars ‘Charles Augustus Magnussen’ Mikkelsen) as Cumberbatch’s enemy. But what about Cumberbatch himself? Is he up to the task of carrying such a big, CGI-heavy blockbuster? Well, of course he is. Arrogant, rude, funny, heroic and surprisingly humble in turn, Cumberbatch draws much from the same well as Sherlock to play Stephen Strange, which will certainly please his fans. That said, Strange is his own character, too. For instance, for a sizeable chunk of the film he is left a broken man after a terrible accident, and Cumberbatch completely sells it as someone desperate to the point of obsession. It isn’t a completely perfect film, though. On the one hand, the script is an exercise in economy. With so much world-building and character work to be done, there is nary a moment that’s wasted. On the other hand, it does mean that the film feels like a brisk race through important moments. Punchy storytelling is all well and good, but it’s still nice to let things breathe once in a while. It will be fascinating to see Doctor Strange and his mythology further explored in a film that doesn’t have the heavy weight of the origin story around its neck. As it is, Doctor Strange is yet another solidly enjoyable Marvel movie, one that introduces an exciting new superhero into the fold. If Benedict has to do other things apart from Sherlock, we are glad he picked this role to keep us entertained over the coming years. Holmes is where the heart is for us fans, but sometimes it’s good to be strange. Have you seen Doctor Strange? What did you think? Leave your verdict in the poll below! “Holmes is where the heart is for us fans, but sometimes it’s good to be strange.” Love it!